\r\nThis is the best PLAY service on seoclerk. Check my orders in progress & my feedback. None of my competitors are doing so many orders and have such great feedback from happy customers. \r\nCheck my feedback. A lot of returning customers ( great service). \r\nSpeed Update on 2.2019 . Speed fluctuates based on multiple factors. below you have some averages. I\'ll try and update these averages once a week or so. \r\nSo regular orders are still slow. Playlist plays and full album plays are faster now. \r\nFrom the looks of it, the speed won\'t increase anytime soon. >> Direct supplier of Music Services , so you\'ll get top notch services & customer support! 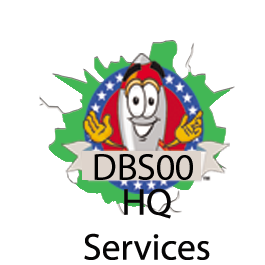 Super fast support if needed as we\'re handling the deliveries ourself, not outsourcing them. >> Minimum per order is 5k plays ( 1 link only. It can be for song , artist or album). If you want to add multiple links you\'ll have to buy extras below! \r\nYou Can add Artist Link or Album link and spread the plays across all tracks present there! This means you could split a regular order of 5k on multiple songs. \r\nYou can request Max PLAYS per day ( in case you want slower plays than usual). \r\nThe plays will be delivered slow ~ 500 plays per day (depending on the site of the order )so they will be safe and good ( it will take a few days to update on their tracking system). The order will be completed once the plays will show in your App. On bigger orders (50k+) the speed can be increased on demand! Don\'t ask for faster speed on a small 5k-10k order. I won\'t speed it up! \r\nWe are always over delivering! If you\'re happy, we\'re happy! \r\nIf you want plays delivered on your custom playlist check our other service just for Playlist Plays. \r\nCHECK EXTRAS BELOW FOR DISCOUNTS. The bigger the order, the bigger the discount ;). You can get 1 mil as low as 1.25$ per k ( that\'s a big % off the regular price. Perfect for Studios & Resellers). \r\nYou can add multiple links in bigger orders. \r\n* Tracks must be at least 1 minute long. Plays will start reflecting on within 24-48 of you getting the message regarding your order being started. \r\n* Please note that these plays DO NOT COME FROM REAL PEOPLE. This service is only meant to boost a number of plays on your track artificially to help it rank better. \r\nNew to Seoclerk and Interested in a 15% discount on ALL of my services? \r\ndiscount is applied on my special reseller rates as well . After registering PM me so I can give you more info. \r\nWhat are you waiting for ! Buy more & pay less! \r\nOffer limited to the first 75 new buyers. \r\nWill update status again once all the slots are taken. \r\nThis offer is valid only for NEW users that will be registered as my affiliates on all their future purchases from ME.